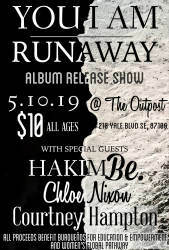 You I Am presents his first studio album, Runaway, on 5-10-19 live at The Outpost. 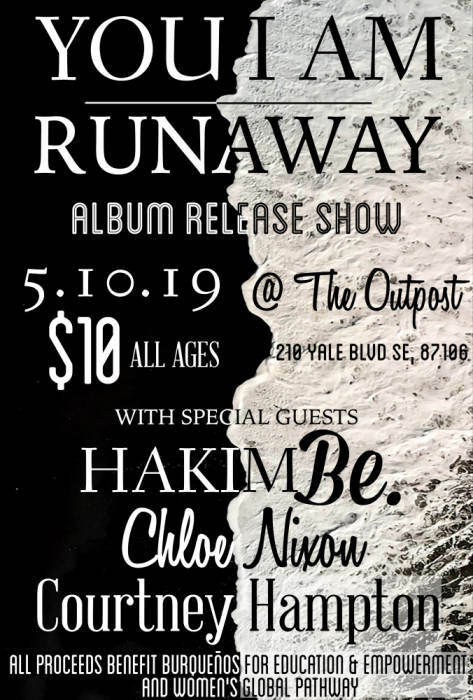 Additional performances by the very talented Hakim Be., Chloe Nixon and Courtney Hampton! Join us for an incredible evening of spoken word, music, love and good energy to celebrate this release. All proceeds will be donated to Burquenos for Education & Empowerment and Women's Global Pathway.